Funny photo of health, internet and stubborn. 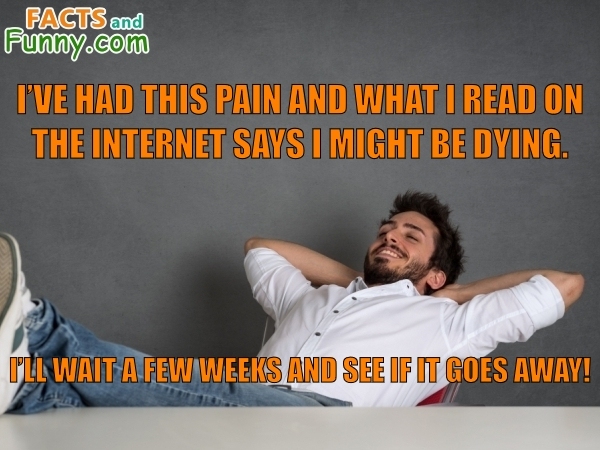 Funny photo about health, internet & stubborn. I've had this pain and what I read on the internet says I might be dying. Ill wait a few weeks and see if it goes away!